What is Hydrosol, What are Essential Oils, and What are the Best Ways to Use Them? Hydrosol vs. essential oil: what is the difference and how can you use them for soapmaking and aromatherapy? In previous articles, we have discussed what are essential oils, how to make a hydrosol, and hydrosol vs. essential oil as an overview. In this article, I will give some more guidance for home use for both hydrosols and essential oils, including some principles on when to choose one over the other. Those of us who are homesteaders and country folk tend to be of an especially independent bent. Many of us would prefer to make or grow our own products rather than purchase them at the store. We love to live close to the land, and we value a connection with Nature. We also tend to emphasize prevention and self-care before going to the doctor—for our animals as well as for our families. This is where understanding some basics of aromatherapy can help to create more leverage for homesteading families when it comes to grass-roots health care that you can do at home as well as finding the best essential oils for soapmaking. With a few guidelines as to safety, it can be easy to choose a do-no-harm aromatic help to support the body in a wide variety of ideas. Of course, this is not a substitute for medical advice from a doctor when that is warranted. But instead, using aromatics can help to increase our overall health quotient so we hopefully see the doctor less. Hydrosol vs. essential oil—it can be confusing to make a wise, responsible, and cost-effective choice. There are a few principles I like to recommend. First, use the lowest amount of essential oil that is needed. Why? Firstly, you may recall that when we learned about the definition of essential oils, it was mentioned that it takes a tremendous amount of plant material to create one single drop of essential oil. With an eye to sustainability, this means a lot of land and resources go into the creation of that one drop of essential oil. Using them sparingly and ethically means that we are demonstrating a respect and appreciation for the amount of resources that go into their production. Essential oil beginning to separate from the hydrosol at the end of distillation. Photo by Erin Oberlander. Another reason to use the minimal amount of essential oil possible comes from the standpoint of health. Essential oils are as strong (sometimes stronger) than medicines. They can have very potent effects in the body. They can cause interactions with certain medications and medical conditions. They can be dangerous for infants, children, pregnant women, and the elderly, especially at undiluted or high amounts. So while the advice to utilize essential oils for many conditions is coming from a place of good intentions, a misunderstanding of the potency and safety of the essential oils can lead to other complications, both immediately and down the road. Individuals may have skin reactions to certain essential oils, and others may cause additional discomforts for certain people. Essential oils themselves should be used sparingly, with respect, and with a full understanding of safety for these reasons. To learn more about this, I recommend folks fully read all of the safety guidelines given by the National Association for Holistic Aromatherapy—the governing body for professional aromatherapists that provides science-based information from peer-reviewed journal articles and studies from an unbiased source. Always dilute your essential oil in a carrier oil before applying it to the skin. Better yet, opt for diffusion or direct inhalation from the bottle or even an aromatic bath using essential oils, carrier oils, and salts, before applying directly to the skin. And never, ever ingest essential oils, no matter how good the advice sounds UNLESS under the direction of a Clinical Aromatherapist. Ingestion can cause esophageal and liver damage that sometimes will not show up for many years. The point being that essential oils can be over-used and abused, even with the best intentions in mind. This is where our discussion of hydrosol vs. essential oil turns more directly to hydrosols. What is hydrosol? In a previous article I explain in-depth how the process of distillation of plant material has two by-products: essential oil and hydrosol. While the essential oil is a concentrated form of the chemical compounds from the plant that represent the plant’s reproductive and immunological functions, the hydrosol is slightly different. While the hydrosol does contain a small amount of suspended essential oil, it is in such dilute amounts that the amount of essential oil can already be considered minute enough for safe use with most individuals. In addition to this, the hydrosol will also contain some of the herbaceous elements of the plant which may also have their own therapeutic benefits. Often the hydrosol will have a “greener” scent to it because of the herbaceous elements, while still retaining much of the scent of the essential oil itself. This brings me to my second principle of hydrosol vs. essential oil—choose the hydrosol first BEFORE reaching for the essential oil, unless using it for soapmaking techniques. Very often the hydrosol will have the same benefits for mood, mindset, and energy (or relaxation) as the essential oil. Using the hydrosol, see if it has the desired effect. If after several applications it does not, then consider using the essential oil. For example: let’s say you are having difficulty sleeping. Lavender is well-known for its relaxing effect on many people. First try spraying the lavender hydrosol on yourself and on your bedding as you retire for the evening. If, after several nights, you are still not having the restful sleep you would like, then you may consider diffusing a few drops of lavender essential oil in a diffuser in your bedroom or applying lavender in a carrier oil to your chest to help deepen sleep. In other words, choose the most gentle remedy first; bring out the more concentrated materials only if needed. This principle is especially pertinent when using aromatherapy with infants and children. The bodies of this age-group are not fully prepared to eliminate the chemical compounds of essential oils in the same way an adult body can. Only a few essential oils are recommended for use with infants, and even with those recommendations, the essential oil must be highly diluted and used sparingly. This would be an instance where a hydrosol could come in handy. A few sprays of hydrosol on the child’s clothing or bedding will do much more for the child than for a full-grown body while still keeping safety in mind. I also do not recommend diffusion around children, especially in enclosed areas or bedrooms, on a regular basis. Save this treatment for times of illness in the home, and then make certain the essential oil you are using is safe for everyone in the family. 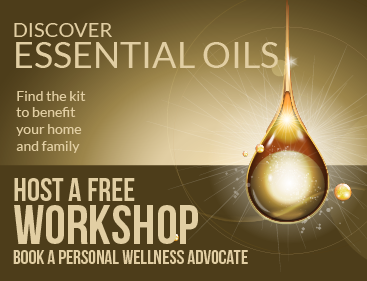 How do you use hydrosol vs. essential oils in your household? Let us know in the comments below! CBD cannabis compound: placebo or wellness wonder?